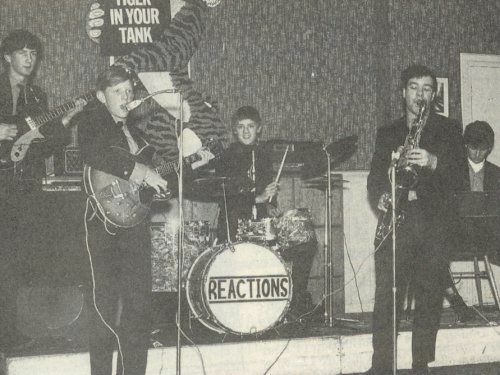 The Truro-based pop group that became known as The Reaction was founded during late 1964 by Truro School sixth formers Jim Craven and John Snell. The pair had been friends for several years; Jim was self-taught on the bass guitar as was John on the tenor sax, via the recorder, clarinet and alto sax but he later received additional music lessons at Truro School that enabled him to sight read – this was to prove very useful later when the group were developing their own arrangements of current hits. Both had started from basics – John had built Jim’s first amplifier from a Radiospares kit as a school-based electronics project. Both were free place day-boys from Truro and were able to develop out-of-school interests that were not then available to their boarder colleagues. Because the only woodwind player on the popular music scene was Acker Bilk, John subsequently acquired the nickname “Acker”. 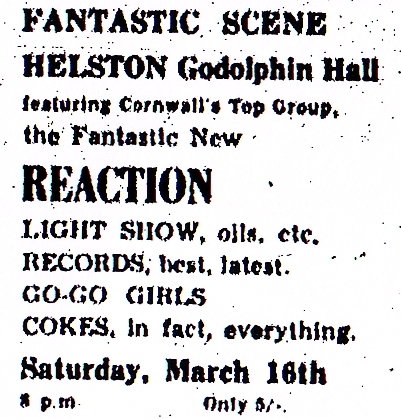 In that pre-disco age there were numerous aspiring pop groups following the explosion of interest when the Beatles and other big-city groups dominated the pop scene and Cornwall was no exception. Dances with live music were the most usual opportunities for young people to meet up and most towns and villages hosted a dance each weekend; here the groups found opportunities to showcase their talents and bring in some revenue to finance their ever more expensive equipment. 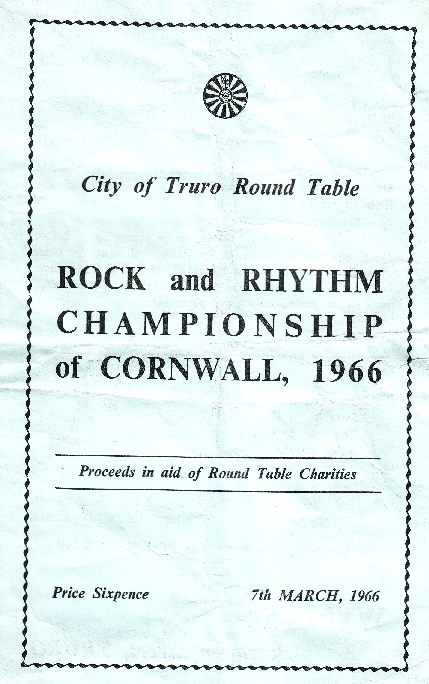 The big event on the Cornish scene was the annual Rock and Rhythm contest held each March in Truro City Hall by the Round Table as a charity event where all the groups competed for a silver cup – and the attention of the leading dance promoters, who normally formed the jury. The pair surveyed the local scene and had practice sessions with other aspiring local musicians, including Michael Faulding, who later joined the army as a bandsman, Richard (Oscar) Carveth from the Cathedral School, and Peter (Bass) Baron, also from Truro School, who played drums and guitar. Jim persuaded two acquaintances of the same age who had just left school and were known on the Truro music scene but not yet in a regular group – Graham Hankins, a talented guitarist and singer, who worked at Symons outfitters in Cathedral Lane, and his friend Johnny Grose, a stylish vocalist who could handle Roy Orbison numbers and sung under the name of “Johnny Quale”; who worked as a builder to become core members of the embryo new group. Clearly there was a need for a drummer and an approach was made to a younger Truro School day pupil who displayed unusual talent and had been spotted playing at a local social event in another 3-piece band called Cousin Jacks (also Beat Unlimited), when it was heard that one of the members, Dave Dowding, was losing interest. The result was the arrival of Roger Taylor, also of Truro, who insisted that he brought with him the remaining Cousin Jacks member and Truro School day pupil Mike Dudley, from St Agnes. 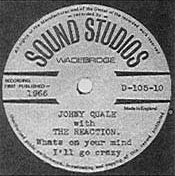 The resulting line-up – 3 guitars, tenor sax, drums and vocalist titled themselves Johnny Quale and the Reactions (The title Reactions was originally devised by John – the first proposal was Mighty Atom and the Reactions) and commenced practising with the objective of making their first appearance at the 15 March 1965 Rock and Rhythm contest. A secluded location for practice was needed as the group did not wish any publicity until a workman-like performance could be assured. Jim’s parents ran the nursery at Malpas and a holiday cottage was vacant during the winter months – this became the group’s base. Since none could drive at the time it was either a bus ride or walk from Truro for rehearsal; it was of some amusement that when passing Newham a rival group, Al Scott and the Klan, whose bass player, Tony Price, was another Truro School day boy, could be heard rehearsing on the other side of the river. The secrecy worked for some weeks but eventually faces were spotted peering through the cottage windows. A chase in the dark revealed that the intruders were not spies from another group but local girls who had been intrigued where the nightly music was coming from. They agreed to keep it to themselves and the group found it had its first local following. After much creative tension it was agreed that the repertoire for the contest would be an instrumental written and arranged by Graham Hankins, based on the R & B standard “What’d I Say?” followed by a Graham Hankins’ ballad showcased by Johnny Grose. Graham was the most familiar with what the paying public liked and persuaded the group that it should have a strong identity; as an outfitter he arranged that everyone except Johnny appeared in smart charcoal grey trousers, orange long sleeve shirts and black knitted ties. Together with some well-rehearsed stage moves reminiscent of the Shadows, the effect on the audience when the curtains went back was stunning compared to the casual approach that the established semi-professional groups had been taking. Further excitement followed when Johnny strolled on to the stage in an immaculate dark grey suit to take up his vocal after the group’s intro and by the end of his performance the audience was on its feet. At the vote fourth place was attained, ahead of the other Truro bands but much to the consternation of those who thought the group deserved to win on the basis of its performance on the night. The judges, that year a Plymouth pop group, the Couriers, following criticism that dance promoters were not always in touch with current youth music fashion, justified their decision on the basis that the group was completely unknown and they were unsure that a full evening’s performance could be delivered. In truth the judges’ reservations were correct, the group was completely untried. At the end of the performance they were approached two sharply-dressed men in their twenties, which seemed to be a different generation to the teenagers in the band (Graham’s comment was “There’s a couple of spivs want to see us!”). Both from Redruth, they were Jack Pascoe and Roger Brokenshire who carried on a part-time business as dance promoters in West Cornwall whilst working at Muttons’ butchers in Truro. Roger Brokenshire had made his name in local talent contests and for a time been a professional singer working under the name Sandy Shore, touring as a support act to touring American artists who had by 1965 passed from popularity. Consequently he was generally known as Sandy. Jack had been involved with skiffle groups at some point. They assured the group that they were not interested in management but offered a string of engagements at their village venues west of Redruth. 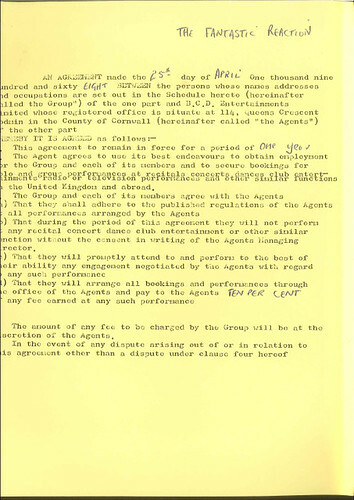 At the time the major venues had exclusive agreements with the booking agencies and to be successful a Cornish group needed to have an exclusive agreement with the PDB agency in Bodmin. The agency effectively controlled the groups and decided who was fit to work where, the commission payable by the group was akin to having an additional member. The Reactions wanted no part of this and the Pascoe/Brokenshire offer was particularly welcome, especially in view of the group’s inexperience. A hurried expansion of the group’s repertoire took place, despite John and Jim having exams that summer, and a programme that reflected recent hits that ranged from rhythm and blues through the latest Beatles’ offerings to Roy Orbison tear-jerkers was compiled. The group had its own distinctive sound and some adaptations were better than others. The apprenticeship was hard and some of the venues were not particularly inspiring but Pascoe and Brokenshire tolerated the group's early shortcomings and gradually a more stable repertoire and consistent performance was attained. The promoters had realised that the group could not command top money but neither did they over-charge at their venues, bringing up to date live music to remoter locations such as Coverack that would otherwise not have a social focus for local youngsters. Nevertheless the décor and acoustics of locations such as the Masonic Hall in Hayle would be a challenge for any band aiming to generate a rave evening! By then Jim had passed his driving test so the group’s transport for these far-flung venues was Jim’s father’s MG Magnette and John’s mother’s 5 cwt Ford Thames van, driven by either her or John with an accompanying passed driver. On one occasion John’s mother had to make a hurried journey from St Merryn, near Padstow, to Truro and back when Roger found that he had forgotten to pack his drum sticks before the van left Truro. An upstairs dance club in Redruth run by one of Roger Brokenshire’s acquaintances – a former manager of the Staggerlees, Eric Langman, Cornwall’s only professional pop group who had cut a record and had made a living playing in the clubs in Sheffield and South Yorkshire, was also a frequent venue were the group were able to pick up valuable experience. Jim and John acted as the group’s management and were able to secure work at summer fetes in North Cornwall, the group’s first experience of playing under canvas, but the bigger venues (Princess Pavilion at Falmouth, Flamingo at Redruth, Blue Lagoon at Newquay, etc.) remained out of reach. Often Reaction bookings would be private events or be advertised by posters close to the venue, which has subsequently frustrated those who have tried to chart the progress of the group from published advertisements. The improved income permitted investment in better equipment for the group and Johnny invested in a PA system with built-in reverberation and echo to enhance his Elvis numbers. It worked on a tape and could not always deliver the special effects and volume at the same time. At this time John seemed to be using the soldering iron as much as the sax. One booking was placed by the Rugby club at St Ives. Only after it was advertised did the club say that they expected there to be strict tempo dance numbers as well as rock. At this point the group was prepared to have a go at anything and did not wish to pass by any fee-paying bookings but clearly the club had thought it was booking a mini-dance band such as Bill White and the Clavatones, who seemed to play at every social event in the Truro area, turning pop tunes into strict tempo in Victor Sylvester style. Honour was at stake so an approach was made to John’s cousin’s husband Vic Kolb, who supplemented his income by playing piano in the local clubs at weekends, particularly the Truro Railway social club. Vic was very gifted and had a very good ear for music but the Reactions’ music was a different culture. Nevertheless he was persuaded to become an honorary member for the evening. After half an hour of Reactions’ usual performance the organisers advised that (a) it was too loud for many of their regulars; (b) where was the ballroom dancing many were expecting? Vic was called in to rescue the situation, supported by Roger; with occasional support from Graham and Jim. Most of the remainder of the evening saw Roger delivering strict tempo for waltz, quickstep, cha-cha and foxtrot whilst Vic did most of the work; only at the end when the bar had had its effect were the Reactions able to play again. The club did pay up, muttering that the evening was not what they had expected. Afterwards when Vic was asked what he thought of being associated with the Reactions, he said he wouldn’t be comfortable doing it again but the drummer was pretty good! The association with Pascoe/Brokenshire led to an introduction to the leading Devon management agency LMD, in Torquay. It was run by Lionel Digby, a colourful local character. A Wild West fanatic he charged around Torbay in his company van dressed in full cowboy regalia, complete with a brace of six shooters in his belt. The group’s first meeting with him was prefaced by whoops, a discharge of blanks and a six gun pointed through the half-open door at Graham’s head. After this dramatic introduction a number of bookings at large venues followed, including St George’s Hall in Exeter, which seemed to be the equivalent of Wembley stadium according to the scale of previous bookings. On these visits to Devon overnight accommodation was Spartan, ranging from sleeping in vehicles in a lay-by on the Exeter by-pass to the lounge floor of John’s family friends in Plymouth. Summer 1965 marked a further development when a speculative visit to the Princess Pavilion resulted in a string of engagements, including supporting the Couriers, who had been the group’s judges at the group’s first public appearance at the Rock & Rhythm Contest, back in March. In the autumn an agency raised the prospect of a tour of northern France and for that reason the group booked into Cameracraft in Lemon Street for Johnny Quale and the Reactions one and only publicity photograph. The tour never materialised but the enquiry persisted well into 1966. Johnny’s voice could be very good but it was not robust and throat infections occurred frequently, glycerine was often a favourite tonic. Graham was by now covering more vocals as well as acting as Johnny’s backing singer and this affected the repertoire, with even Beatles’ numbers such as “Ticket to Ride” being featured. Johnny’s increasingly erratic voice frustrated him and affected his confidence, as well as causing tensions in the group. Matters came to a head in November 1965 when Johnny decided that it was more important to see the latest Elvis movie than sing at a booking in St Keverne. The booking was for Pascoe/Brokenshire and Roger B (thereafter known as Sandy) was persuaded at short notice to come out of retirement for the evening. An extraordinary night followed. Sandy had dusted off his gold glitter jacket and gave an object lesson on how a singer should engage with his audience, digging out every stage trick from a long career of talent shows, tours and study of other artistes. Sandy did not know too many of the Reactions’ song list but was very much into the works of Little Richard and Chuck Berry. The result was an evening of extraordinary improvisation as one rock roof-raiser after another was busked. The audience loved it, Sandy was back in his teen days, leaping all over the stage and encouraging everyone to join in and the group found it exhilarating and strangely liberating. After that there was no going back and Sandy, after consultation with Jack, took little persuasion to become a full time member of the group. Sandy’s first rehearsed appearance with the group at a major venue was the Princess Pavilion at Falmouth. Not long before Sandy’s arrival Mike decided that he wanted a change from the guitar and that the group should have a new sound. The result was an electric keyboard that had a sound similar to an electric piano. The right hand part was often played in unison with John’s sax and the band had a new sound. The keyboard did have limitations; it was very susceptible to condensation, often a problem in some of the smaller halls, and its electronics were not sufficiently robust to travel well, consequently frequent maintenance was needed from its suppliers in Exeter. Furthermore it needed to be played seated, not ideal for the tallest member of the group. Following the short Devon tour and the new line-up for the group, Jim and John decided to revamp the marketing and one of the venues visited was the Flamingo ballroom at Pool, between Redruth and Camborne. It was the biggest dance venue west of Carlyon Bay and was a converted industrial building. It had a reasonably well sprung dance floor and a high ridge asbestos cement roof with minimal insulation; this gave challenging acoustics as well as significant condensation as the evening wore on. A large motorised glitter ball lit by coloured lights was the only decoration among the steel roof trusses. There was a large, deep, curtained stage at the far end of the building serviced by a nearby external door and a door into the ballroom. A single storey block alongside housed a bar, lounge and dressing rooms whilst the building was surrounded by a large car park. The venue had a large following and attracted top name bands during the summer months, supported by local groups; a network of free buses to major centres provided a take you home service for patrons at the end of the evening. The owner was Joy Hone, who lived with her family in the block at the rear of the building. She was a formidable and loud lady but very kindly under her bluff exterior. She did not stand for any nonsense at her dance hall and her security team was headed by Fred the doorman, a former boxer, who wore evening dress but could quell any trouble remarkably quickly. Joy was interested in the progress that the Reactions had made since she first saw them and the Rock & Rhythm contest at Truro City Hall and also knew Sandy quite well and the sort of show he could deliver. The result was an independent booking for New Year’s Eve 1965 that led to frequent return visits and Fred was always there to lend some muscle to help with equipment unloading and setting-up. The Flamingo succumbed to changing tastes and was demolished in 1980 to become a Morrison’s supermarket; though part of the original roadside wall appears to remain. 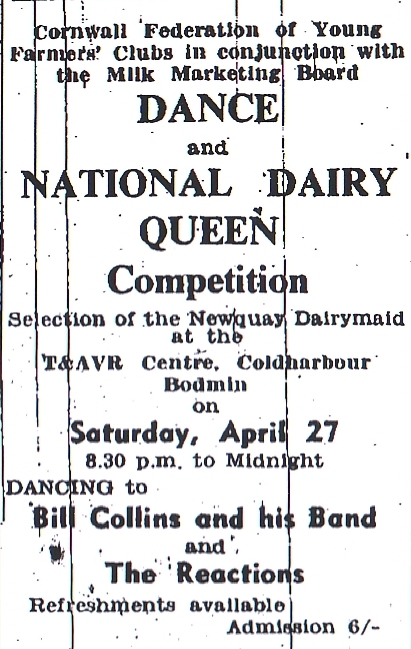 By Christmas 1965 another regular booking was the St Brannock’s Hotel at Newquay where dances were held on Fridays. The ballroom was nowhere near as big as the Blue Lagoon where a major dance was promoted every Saturday but it had a good following. Further changes were again in the offing for the group. Graham was tiring of the group scene and after Christmas 1965 he decided that he wished to leave. Once again the group had their eyes on the Rock & Rhythm Championship and they recruited another friend from Truro School as his replacement, Geoff Daniel from St Austell, who had acquired the nickname “Ben”. Geoff was a close follower of the St Austell music scene, where there was a strong emphasis on R & B, and where many of the Reactions’ rivals were based. Geoff’s arrival with his white Fender Stratocaster brought a new sound and style to the group that suited the musical changes that were also taking place. Sandy was very taken by soul music and considered that it suited his voice and the new line-up; he had access to records that had not yet been released so much new material was introduced, particularly from James Brown, Wilson Pickett and Otis Redding. Then Mike sprang a further surprise by trading in the tired keyboard for a Vox Continental organ, an instrument that was robust, had a full and modern tone and could be played standing up – the Reactions’ best-known format was complete. 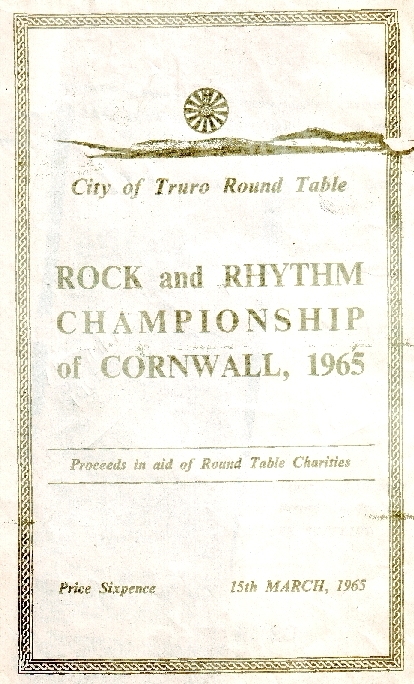 The 1966 Rock & Rhythm Championship was held on 7 March. A different approach from the previous year was agreed to reflect the new line-up and changes in popular taste. Firstly the group's name was changed from The Reactions to The Reaction. 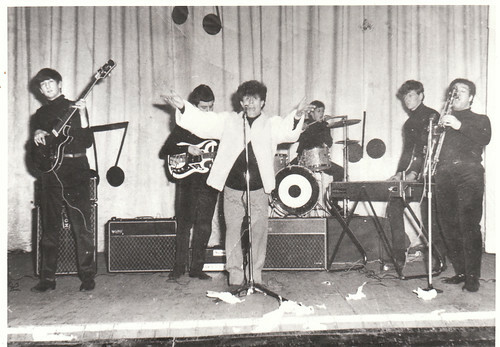 The appearance was changed: the group wore black polo neck jumpers and dark brown trousers whilst Sandy wore a black polo neck jumper, light grey trousers and a sheepskin jacket that had been custom made for him at the Morelands sheepskin factory in Redruth, dyed orange, blue and silver; finally the group name on Roger’s bass drum was by a black and white bullseye in the best swinging sixties fashion that pulsated hypnotically at every beat. Following Graham’s departure Roger was now providing the backing singing for Sandy. A dance at Coverack had provided Geoff an opportunity to play a full set with the group. Meanwhile there had been two week’s of intensive rehearsal at various sites around Truro, primarily at the Old Boys’ Club and Scout Hall alongside the river at the bottom of Lemon Street whilst various formats had been tried out. For the first time Jack Pascoe came to offer his advice, which was interesting because he had probably heard the group more than anyone else. He urged that they emphasise what was distinctive compared to the other three-guitar, drums and possible mouth organ groups that would be playing and concentrate on their musical balance and strengths. The group weren’t always good at following other people’s advice, probably part of the reason for their rising success, but this time they did not turn a total deaf ear to what was being said. The City Hall was well provided with dressing rooms and that used by the Reaction was thick with the odour of Right Guard deodorant and Cossack hair spray plus some judicious stage make-up that Sandy considered necessary to counteract the lights. The hall was packed and very noisy as competing groups of fans screamed for their favourites. Never being afraid to embrace showmanship, the group decided it would be a good evening for a new set of publicity photographs and Mr Cameracraft was again commissioned, taking pictures backstage and during the performance, the flash photography from a step ladder in the aisle adding to the atmosphere. At this time Roger had taken to securing his bass drum against two six-inch nails driven into the stage because his pounding drumming exceeded the capacity of normal stays to restrain his set during the course of an evening. This did not always go down well with hall managements but fortunately there was no time to do this in the quick change around of groups that the contest required. No one could doubt that Reaction were in a league of their own that night. As the curtains rolled back Roger launched into a 13 seconds drum solo as a prelude of the group’s own interpretation of “In the Midnight Hour”. After the first two riffs Sandy bounced up to the microphone wearing his extraordinary jacket and the hall was alight. Mindful of the advice that had been received, whilst keeping the rhythm moving, the finale brought in each instrument in turn before the final unison chord and drum flourish. This was swiftly followed with the Carol King favourite “Will You Still Love Me Tomorrow?”; again with effective use of diminuendo and crescendo. After the cheering had stopped there was no doubt as to who would be the winners and the silver cup spent the next year on Roger’s mantelpiece. When the group repeated their set at the end of the evening their was mayhem in front of the stage as disappointed girl supporters of St Austell groups confronted their gleeful counterparts from Truro and the last publicity photographs show the stage strewn with discarded banners. 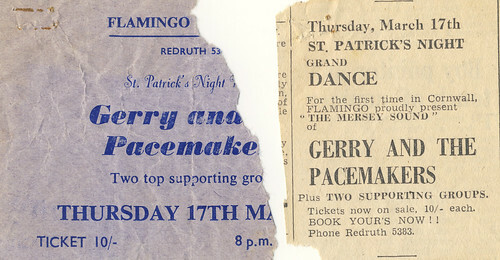 Success at the contest brought some prime bookings, including supporting Gerry and the Pacemakers at the Flamingo on the 17 March. Nevertheless the group still sought its own work and 24 March saw a promotional advert in the West Briton. The group’s local success was confirmed when one of their dances at Moresk Drill Hall was a sell-out at the same time as a dance in the City Hall organised by Truro Liberals and featuring Truro’s long established group The Strangers was a flop. It was 5 years later that John Snell was able to offer some recompense to the Liberals when he was elected for Truro’s West ward as their first, and the youngest, Councillor. This was the first step in a period of political change that culminated in the election of the late David Penhaligon, one of the promoters of that ill-fated Liberal dance, as Truro and St Austell’s MP. The increasing frequency of bookings and the additional equipment that the group used meant it would make sense to have their own dedicated transport, especially since John was now passed to drive as well as Jim. After deciding against an elderly ex Civil Defence ambulance, a well-worn Bedford Dormobile camper van was purchased from a private seller. It was bought in the knowledge that the engine needed an immediate overhaul and this was carried out at a small garage near St Austell Street that was short of a front wall as it was one of the remaining buildings that was in the path of the inner ring road. The rebuild was adequate for a short while but never totally satisfactory and the van proved to be a high maintenance asset, enjoying frequent visits to Brewers Garage in City Road where it enjoyed the benefits of John’s mother’s account. The Bedford’s engine compartment was inside the cab, which proved useful one Sunday morning in late spring on the way to a theatre in Plymouth for an “Opportunity Knocks” TV audition when the throttle linkage was manually held together as it tried to vibrate itself into its component parts on the climb to Saltash. The show was a forerunner of current shows such as “Britain’s Got Talent” and was fronted by its deviser, The TV celebrity Hughie Green. Each show featured a variety of different performers and the winner was decided by a studio vote using a noise measurement of the applause. His approach was interesting; when the group started up he said nothing but stalked down the aisle to the front of the stage where he stared intently and grimly with his arms folded. On completion of the number he walked away and still nothing was said. 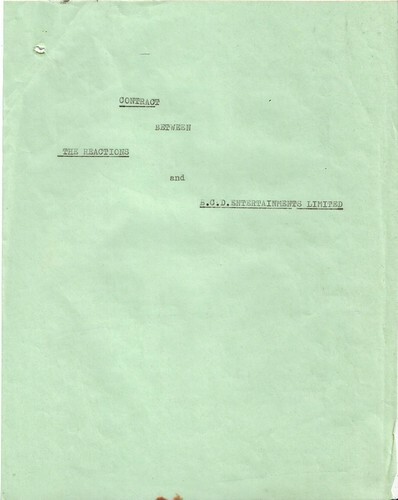 The following week a letter was received from the producer’s office to congratulate the group on a successful audition and to wait for the call to the studio for the programme. Nothing further was heard. One of the private bookings at this time came from St Eval air base near Newquay. This was surprising because this former wartime bomber base close to St Mawgan was thought to be disused, in fact local parents used the runways for their youngsters’ basic driving tuition. When the group arrived at the designated building they found a very comfortable recreation building with a good sized dance floor and a surprising number of USAF personnel and their families. Obviously at this Cold War time the base did still have a use. A very hospitable evening followed, with copious supplies of bourbon and coke, and a very enthusiastic audience that clearly appreciated the Reaction. Perhaps there was too much bourbon and coke because towards the end of the evening it all turned sour. A young coloured man had obviously overstepped the mark by dancing too much with a certain white girl from the camp. There was much shouting and a knife was pulled. The commander’s wife intervened screaming that they were showing a bad example of America to their “English Guests”. In the uproar and brief mêlée that followed she was upended and very publicly lost her knickers – and the band played on. Order was restored but it gave the group an insight of the tensions that were still present in America during the sixties. The impromptu show was probably only equalled when the group played on the same bill as the stripper at Bodmin Jail night club…and probably had a better view of the act than the punters! In the spring Sandy and John had taken the newly acquired van for a promotional visit of possible dance and entertainment venues in Torbay and North Devon that Sandy had played during his time on the road. Useful contacts were made and the foundations were laid for a second Devon tour in the summer of 1966 based around another Lionel Digby programme. A particularly cold night sleeping in the van in Ilfracombe confirmed that B & B accommodation would be essential so Sandy agreed to contact his former landlady in Devon. The teaching staff at Truro School very rarely acknowledged the existence of the Reaction as for many of the old school it was an alien culture. A booking for a Round Table charity evening at a barn at Idless, near Truro, revealed that many of the younger members of staff were Round Table members and they did not share the inhibitions of their senior colleagues. It was a cheese and beer evening with a free bar included in the price. It ended very noisily with the Truro School contingent proving that their bread-roll throwing could match that of anyone else. The following Monday nothing was said, other than the odd surreptitious smile and wink. In early summer 1966 there was a surprise approach from Jonny Grose (Quale). He had made contact with a record producer who was interested in promoting him; could the group back him on a demo record if he met the costs? The venue would be the cinema in Wadebridge on a Sunday afternoon when no films were showing. For the group it was just another booking since most of the songs would be from Reaction’s back catalogue when Johnny was singing with them; only one song would require any development. Since he would not be singing, Sandy was not interested, so the instrumental section of the group arrived at the makeshift recording studio of Sound Studios. The stage of the cinema was festooned with microphones that led to a fully equipped control room where the mixers and tapes were located. The group were playing into an empty hall but the sound balance was under the control of the recording engineers and did not necessarily reflect the way the group had thought they had set themselves up. The process was quite time consuming but by the end of the afternoon the engineers confirmed that they had sufficient material for four tracks for an EP and the mixed tapes were played back to Johnny, who confirmed himself satisfied. They comprised a ballad “What’s on our mind”; a current Reaction number “I’ll go crazy”, modified slightly for Johnny’s style and with Roger providing backing vocals as the A side and a back catalogue ballad “Buona Sera” and a current rocker “Just a little bit” as the B side. Overall the performance was somewhat restrained compared to what Reaction was currently presenting, only the final track really came to life. When Johnny’s session was declared complete there was still some booked time left at the cinema. 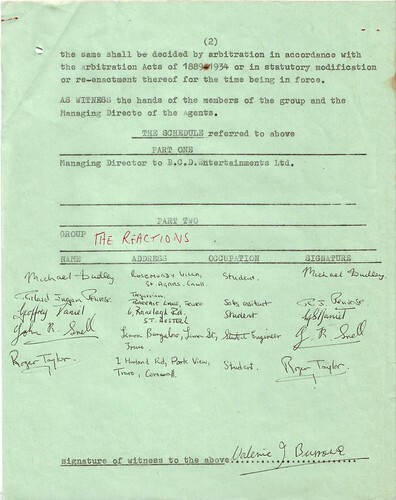 With an eye to further business, Sound Studios suggested that Reaction might wish to make a further recording on their own – for an additional fee! This raised a dilemma because up until then all the singing had been handled by Sandy – who was not present. The suggested price was reasonable (about £20) so after a hasty consultation Roger agreed to sing and drum on the basis that as the backing singer he remembered the words to most of the songs. This decision was to eventually lead to further changes for the band but with no preparation tapes were laid down of “Midnight Hour” and “I got you” that formed the A and B sides of the resulting pressing. Both were completed within two takes. The sound balance tended to over-emphasise the sax but overall the records reflect the energy and freshness of the group and their major strength at a gig – a sound that immediately moved an audience to want to get up and dance. 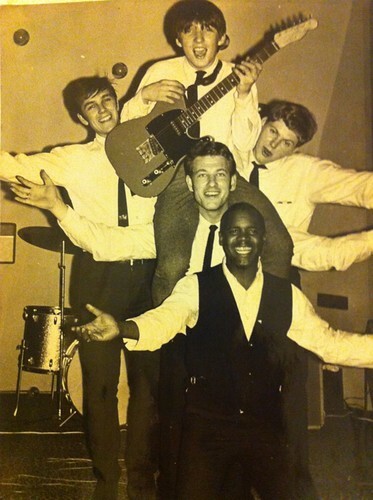 The record was also the very first time that Roger had been the lead singer for any group. Only a few dozen pressings were produced of each record and after everyone had kept their own copy the remainder were sold through the Riverside Café on Old Bridge Street in Truro. It was run by the mother of one of the group’s friends from Truro School and they and their friends regularly used as a meeting place. The surplus copies were snapped up very quickly and now some 45 years on surviving fragile pressings are rare. The end of the 1966 summer term at Truro School saw the Bedford sporting a prominent “Reaction” logo executed by Roger Taylor in an Egyptian style lettering on the bonnet up-stand below the front windscreen as the band prepared for a summer season in Devon, based on a string of top quality bookings in Torbay from Lionel Digby, following John and Sandy’s preliminary visit. The lettering proved to be a magnet for ambitious police motor cycle patrols hunting for hippies who did not believe in car tax or insurance; fortunately the Reaction kept on the right side of the law. This was encouraged by their self-appointed roadies at the time – former school colleagues who had become police cadets. These lads (Colin Trudgeon, Glen Brown and Co) were pretty fit and this was useful not just in looking after the group’s personal security (not every dance-goer appreciated their entertainment being provided by “snobby” public school boys) but proved very useful when the van’s ageing rear tyre expired at Perranarworthal on the way to Falmouth and the jack was inaccessible in a locker underneath the amplifiers. Not long after a front tyre also gave up in sympathy on the Helston ring road on Flora day and John’s RAC membership dates back to then, when someone had to join-up to comply with an enterprising patrol man’s offer to make an emergency repair. Both Jim and John had completed their time in the sixth form at Truro School in summer 1966 whilst the rest of the Truro School contingent was younger and had at least another year before leaving. John was still trying to secure his future, a production traineeship at BBC Plymouth had evaporated in the spending cuts of the 1966 economic crisis, but Jim had secured a place on a business studies course at Portsmouth Polytechnic with industrial sponsorship. He was also very heavily involved romantically, and a summer on the road held no appeal for him. Consequently by the end of July Jim decided it was time to go. This presented a major dilemma for the group with the Devon bookings imminent. The best bass player that would possibly be available was Ricky Penrose who played with the well established group “The Strangers”, over whom the Reaction had triumphed at the two previous Rock & Rhythm contests. 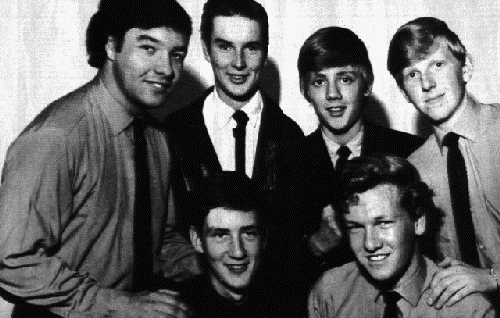 The Strangers had twice been on the same bill as Adam Faith and the Roulettes and their style owed much to this experience and Cliff and the Shadows, particularly for instrumentals, where their lead guitar players, Howard Penrose (no relation) and afterwards the late John Blewett were particularly talented. John Snell had known Ricky from the age of seven, when Ricky’s parents had run the 10th (later 18th) Truro Cub and Scout groups. 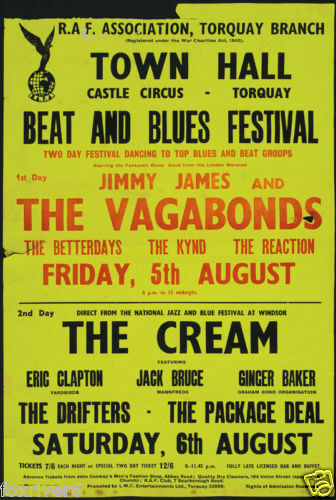 Ricky took little persuasion to stand in as bass player for the 5th August 1966 booking at Torquay Town Hall supporting Jimmy James and the Vagabonds followed on 6th August at the Flamingo at Redruth supporting the Applejacks. Ricky and his fiancée Val were booked into what was to become the Reaction’s base for the summer, Mrs Burt’s guest house in Torquay. Mrs Burt and been Sandy’s landlady during his previous professional career and was always up to greet her guests, no matter what time in the morning they arrived. She specialised in supporting theatrical bookings and always wore the same black dress as befitted the landlady of a theatrical establishment. The group surmised that her stamina was supported by purple hearts, a common prescription remedy for the stressed and middle-aged in the sixties. Her husband’s uniform featured a pinafore and his duties included the vacuum cleaner and service at breakfast. Jimmy James and the Vagabonds were a difficult act for Reaction to support because they performed the same soul-based repertoire but in greater depth because they featured a full brass section, as opposed to the Reaction’s single sax. Not only that, they were also very competent clowns and acrobats with a tremendous zest for life! This baptism by fire did the Reaction no harm and the Vagabonds were very supportive, giving the band many tips which were acknowledged at a future meeting at the Flamingo. Ricky was still a member of the Strangers and could not commit to Reaction’s summer programme because he was in full time employment at the Truro outfitters in Boscawen Street, Boggias. Sandy contacted the bass player in his former band in Devon, the Rockin’ Rockardos, and a meeting and impromptu rehearsal was arranged at Lionel Digby’s premises in the Old Lock-Up in Torquay. The outcome was that Geoff Hawkey was welcomed as Reaction’s new bass player. Geoff was extremely competent and seemingly permanently attached to his Fender bass. He adopted the Reaction’s style remarkably quickly and then added to it, forging a driving rhythm with Roger’s drumming. Geoff Hawkey (with Telecaster) with The Rustiks at an American Air Force base in Madrid, 1966, Just prior to joining The Reaction. 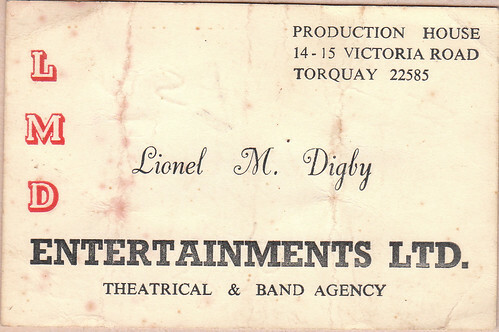 Lionel Digby’s latest venture after his club based on a redundant cinema was a multi-purpose venue based on the old police station in Torquay. This housed his booking agency, embryo theatrical costume hire agency, a potential club and Torquay’s former condemned cell. This came with the usual story of a prisoner who had survived execution three times running through trap door failure and was subsequently pardoned; it was intended to serve as another tourist attraction. Lionel had requested that the Reaction arrive in Torbay ahead of the Jimmy James gig for a “Westward TV publicity opportunity” dressed as Red Indians. This turned out to be a publicity stunt at the Totnes Horse Show primarily for his theatrical agency. Reaction dressed as Red Indians followed the horses around the arena (his Wild West fixation was undiminished) but they were announced as “Lionel Digby’s new signing for the summer”, which interested the local young ladies but, unfortunately, made no impression on Westward TV. From mid July to early September Reaction effectively became a professional pop group and black polo neck jumpers had given way to the latest fashion in striped shirts. The tired Bedford with an equally tired John at the wheel criss-crossed North Devon/Cornwall, Torbay and West Cornwall with bookings at Torquay Town Hall being the base; these included billings with the Kinks and the Nashville Teens. In those days there was heavy holiday traffic on unimproved roads, only the A38 between Plymouth and Exeter had any appreciable lengths of dual carriageway, and journey times were significantly longer than they would be today. One night in the darkness of the early hours after a session in North Cornwall the van was crossing Dartmoor towards Torbay when John realised that the front wheels were kissing the offside verge; he realised that he had started to nod off and the van had crossed the road. Almost everyone else was asleep, particularly Geoff Hawkey who had developed the art of falling into a deep sleep within seconds of getting into the van after a gig, and hardly noticed when John pulled up for some fresh air – it could have led to the same fate that befell the group in February 1967. One booking saw the group in Bude supporting Heinz Bauer and his current band. Heinz had been an early sixties blonde heart throb when he was bass player for the Tornados, who had world-wide success with the instrumental “Telstar”, at the time when the first communications satellite was launched. The record and the creation of the group was the work of the eccentric record producer Joe Meek and was recorded in his house, using his own electronics special effects. A number of minor follow-ups ensued but did not match “Telstar’s” success. By 1966 Heinz had gone solo with an Eddie Cochran singing style, with minor success. When Reaction encountered him, sustained by a copious supply of a vodka-based drink whilst his hard-working backing started his set, he related tales of the strange lifestyle of Joe Meek that ended in a bizarre shooting – which were confirmed in a TV documentary that has recently been broadcast – and his own fear of being beaten up because he was “too good looking”. His performance was competently professional but at the end he quickly disappeared from sight to further comfort his paranoia, leaving his backing group to clear the stage. 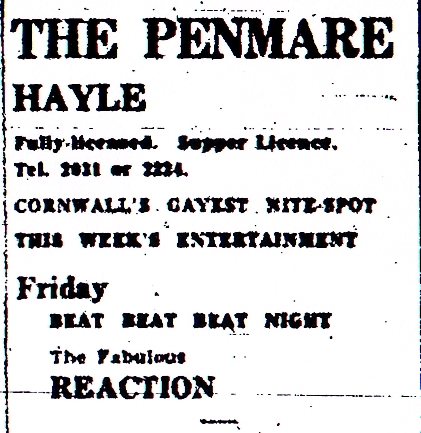 There was no logic to the pattern of bookings – one night could be Torquay, the next Mullion in the Lizard, then a ballroom in Plymouth, then Perranporth, etc. As resources were always tight this was often reflected in the amount of petrol in the van’s tank and all-night petrol stations were uncommon on the rural cross-country routes the group had to use. Consequently on more than one occasion John’s enforced membership of the RAC proved invaluable as RAC-registered garages were called out in the middle of the night (once a telephone box or a house with a light still on) had been located. It was fortunate that in those days there was no computer database to identify those who used the service for frequent “avoidable” call-outs. The irregular pattern of bookings meant that overnight accommodation also often had to be improvised. At the height of the summer season Mrs Burt was squeezing everyone possible into her guest house and one night the whole group was offered her garden room – bed sharing was the only option, before Morecombe and Wise featured it in their TV shows! Mrs Burt offered the use of a large garage at the back of her property for rehearsals it was gratefully accepted because the time spent on the road gave little opportunity to strengthen the repertoire and build on the lessons of previous performances. By this time there was a core of easy-dancing soul-based numbers including: “Ride your pony, Down in the Valley, Mr Pitiful, Shake, River deep Mountain high, Dancing in the Street”. These had all been released with large studio band backings, particularly those of Phil Spector “Wall of Sound” origin and ingenious arrangement was needed to convey a recognisable but distinctively different presentation for the smaller line-up of Reaction – the surviving recording of “Midnight Hour” gives a good example of how this was achieved. There were surprisingly few instrumental numbers as Sandy had a pretty robust voice; John had introduced an arrangement of the big band-blues number “Night Train” that could be extended to give singing voices the chance to recover. Sandy was a natural showman and wanted to introduce some (intentional) comedy into the performance and a version of “Autumn Leaves” (although it often sounded in the back-hall echo that the group heard as “thee hau-tum leafs” with Sandy’s presentation) that required John to stand on a chair and distribute a bucket load of paper leaves over Sandy as the song reached its climax was devised. As well as the time needed to prepare the leaves, the reception was mixed and the leaf bucket was soon dropped from the programme. By the beginning of September the tourists were going home, the Truro School term was starting and the Reaction returned to its home-based semi-professional status, taking primarily weekend bookings. This could no longer support Geoff Hawkey and he returned to Torbay. A permanent replacement was required and this time Ricky Penrose agreed to be the full time bass player. Shortly afterwards Sandy decided that he wished to take a break from singing and set up a disco-café venture at Pool, where he did a good lunchtime trade selling burgers to Cornwall Technical College students whilst they fed his juke box. Jack Pascoe decided that with Sandy no longer a member it was time to sell the Bedford that was still in his name and a difference of views over recompense to the group for maintenance bills that were still outstanding was never fully resolved. Roger volunteered to become full-time vocalist and drummer with Ricky providing backing vocals, as he had with the Strangers. John remained with the group because he had secured a place on a mechanical engineering sandwich course at Portsmouth Polytechnic that did not commence until the following January, also his industry sponsor was Holmans of Camborne. With the departure of the Bedford the group members used their own and borrowed transport to get to bookings; they soon realised that combined transport was preferable. Through contacts at Holmans John had located a dark blue Ford Thames 15 cwt forward-control van in good condition located at a garage in Beacon, near Camborne and this was secured at a good price. Compared to the Bedford it was a luxury vehicle with adequate power and brakes, good steering and vision and an enhanced load capacity. Mike obtained a large surplus bench seat from a coach company in St Agnes so there would be comfortable seating for all and a secure, segregated equipment area. The group were already aware that running their own dances at the right venue was far more profitable than traditional bookings and such an opportunity was found when the incumbent promoter finished regular dances at St Ives Guildhall in early September. Two dates were booked in late September and early October and the Reaction embarked on its own advertising and poster campaign. The poster campaign nearly came to grief when Roger spotted a good site on an electricity sub-station in St Ives that had clearly been used for promoting every event in the locality, Copious amounts of wall paper paste were used to ensure that the carefully aligned pink dayglo poster would last until the event was over. As he stepped back to admire his handiwork a voice from behind said “Very nice sir; now take it down.” Such was his concentration he had been unaware that the local constabulary had been observing him with interest for the past five minutes! Fortunately the dances fared far better and made sufficient profit to cover the cost of the new van and pay the group and friends who had acted as doormen, cloakroom attendants, etc. At this time the Reaction also supported a band called the Creation that was attracting quite a following. The Creation was pushing musical boundaries and this encouraged Roger to urge that Reaction should follow a similar course; a view that had been in his mind ever since he and John had attended the Who’s performance at Camborne Skating Rink the previous October. Then the Who had yet to achieve their major fame and played their instruments rather than destroying them and it was possible to stand close enough to the stage to be showered by the debris from disintegrating plectrums – the performance was both loud and very vigorous. Creation’s record “Painter Man” was incorporated into the set (with adaptation, of course) and Roger’s contribution to the new sound was to demolish the family piano, spray paint its frame in psychedelic colours and use it, with a microphone, as an additional instrument during the group’s regular closing number “Land of 1,000 Dances”, where the audience was always encouraged to join in with over-head clapping. The group did not always share Roger’s enthusiasm for the piano frame as it was heavy to carry and took up a lot of space in the van. 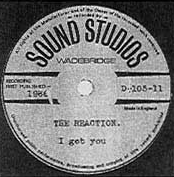 Despite the innovations, the soul numbers still formed the core of Reaction’s set and a popular addition that worked well with the Reaction treatment was the Four Top’s “Reach Out – I’ll be there”; other favourites were “My Girl”, “Respect”, “Slow Down”, “Game of Love” and “Hey Mama (Keep your big mouth shut)” which could last up to eight minutes as a semi-instrumental. The group was friendly with the Truro folk group the Jayfolk – twins and a younger sister called Johnson whose father was Truro’s Town Clerk – and Roger was going out with the younger sister, Jill. The Jayfolk sometimes came to Reaction rehearsals and joined in on the soul numbers; their interest was North American music. The result was very effective and the Jayfolk were persuaded to be backing singers at the next venue. This turned out to be the Flamingo but when the girls arrived they were not comfortable with the big hall compared to the intimate atmosphere and reverent silence of the folk venues where they normally sang. A hurried discussion generated an agreed compromise - the girls would have a microphone backstage and sing behind the curtain. They took up their position behind the curtain and the sound balance was being checked what there was a loud shout from the hall: “Hey you misseys, get off my stage; no groupie girls backstage in my hall!” It was Joy Hone and she was in full flow; the group had forgotten to inform her that there was going to be an experimental line-up with girl singers. There was no remonstrating with Joy, her word was the law in the Flamingo and that was the end of the idea of the Jayfolk singing in public with Reaction as the very embarrassed girls returned to the dance floor. 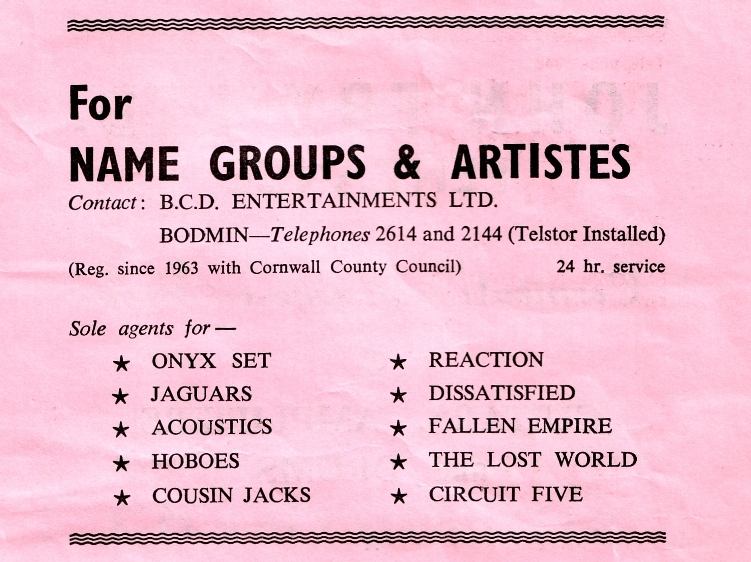 The BCD booking agency put out an advert at this time claiming that they were the sole booking agents for Reaction. 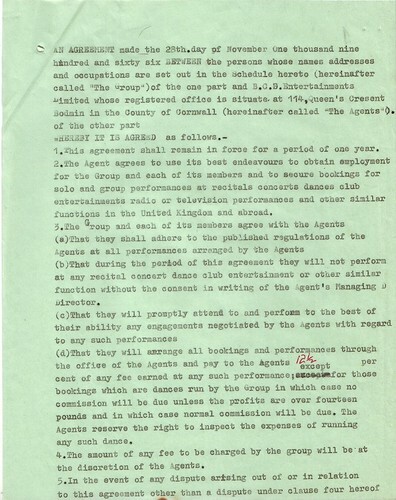 This was not the case, Reaction had never signed for any agency and always refused to pay commission from their receipts; it was a face-saver for BCD because promoters were requesting the Reaction through BCD and they had to avoid revealing to their other bands that had signed agreements that Reaction were freelance. BCD even had Reaction business cards printed. One of Reaction’s independent bookings was entertain in the mess at Culdrose naval air base, obtained through one of Mike’s relatives who was serving there. A seemingly never-ending procession of Wrens carrying silver trays laden with glasses proved that the navy could equally match with rum and coke the USAF’s hospitality with bourbon and coke the previous year but without the fighting! By then school friends such as Neil Battersby acting as roadies were able to drive too, which meant that John no longer had to play and always be responsible for the drive home afterwards. During this period Neil taped the final half an hour of Reaction in its 5-piece format (not its final 3-piece format as stated on many queen-related websites) at a dance in the Annex of Truro City Hall. Whilst the quality is limited by the home equipment that was used, it remains the only recording of the Reaction at its peak and the atmosphere that was generated at its performances. On New Year’s Eve 1966 Reaction were booked to support Screaming Lord Sutch and the Roman Legion at The Blue Lagoon, Newquay. Sutch delivered his trademark manic performance, uprooting the ballroom’s plastic palms to taunt the audience, and his backing band was very impressive, despite being dressed as legionnaires, complete with helmets, breastplates, kilts and sandals. Afterwards, when Reaction were packing their equipment into the van, Roger was observed in intense conversation with the Roman Legion’s Hammond organist. Afterwards he told the group that the organist had invited him to join a new, London-based band that he was forming because he was tired of being in Sutch’s show and wanted to develop new music. Roger had started on an “A” level course and had told the organist that although interested he wasn’t ready to make the move then. The organist was Matthew Fisher and by May 1967 his group, Procul Harum, was nationally known for its record “Whiter Shade of Pale” that held the no.1 spot for 6 weeks. If Roger had accepted the offer his fame would have arrived much sooner but Procul Harum faded comparatively early from the British scene, although they remained popular in the US and Canada, and their impact was small compared to what was to follow for Roger with Queen. In early January 1967 after a rousing session at the Flamingo John left for six months at Portsmouth Polytechnic and Reaction became a core four-piece group. On the 16 January the reduced line-up made an impressive debut as Guest Artists at the Cornwall Rock & Rhythm championship in Truro. Less than a month later the group were involved in a serious accident in poor visibility on the A30 at Goss Moor on the way to a gig at Dobwalls. Roger was driving when the van hit a lorry was parked at the side of the road with its tail-board jutting out whilst the driver stopped to clean its lights. The group members not in the van were not seriously hurt (Geoff Daniel was not on board as he was making his own way to Dobwalls) but their accompanying party did not fare so well and one of their roadies, Peter Gill-Carey, had to be rushed to hospital seriously hurt. Those present said that but for Roger’s quick response the result could have been even more serious. The accident resulted in the van being written off and marked the end for the piano frame too. Civil action to assign responsibility culminated in a court hearing in Bodmin long after the group had ended, where everyone who could be traced who was present on the night of the event or who were involved with the ownership or maintenance of the van were called as witnesses. The accident resulted in John playing a further set with the group at the Penmare Hotel in Hayle when he visited Cornwall to find out how things were going with the group. 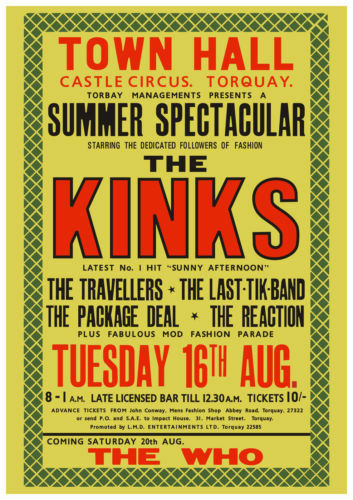 Thereafter John played with the group intermittently during the summer of 1967 through to 1 January 1968 in Bodmin; one interesting parallel was that the group again played in support of the Kinks, who seemed to be to arrange an annual visit to the West Country in the summer months, but this time it was at the Flamingo, not Torquay Town Hall, and the Reaction’s appearance was not pre-advertised. This time the summer bookings were all in Cornwall. By September 1967 further change took place when Geoff Daniel left to go to university in London. For a brief period there was no guitar and the organ contribution was enhanced to cover but this did not last long when Mike decided it was time to revert to the guitar. For this he invested in a white Stratocaster but the improvement since his time as rhythm guitarist to Graham Hankins was remarkable, he had obviously spent a lot of time practising before making the move back. 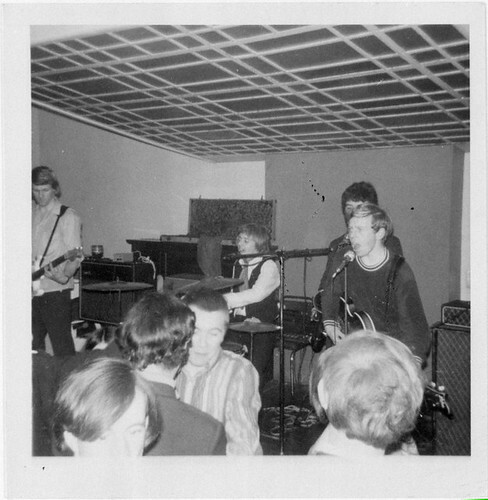 This 3-piece/ 4-piece arrangement continued until John’s return to Portsmouth in January 1968; thereafter the group became a permanent 3-piece line-up, with John making a final appearance at Trevellas Porth in the marquee performance that was a pilot for the Summer Sound Experience gigs that were to follow. The gig took place during a storm and Ricky Penrose felt shocks on his guitar, the electricity feed was from a generator at a cottage some way from the marquee so the earthing qualities were probably doubtful. During January the group had tested its revised line-up under the cover name of the “Fantastics” – they had been billing themselves previously as the “Fantastic Reaction” – with an appearance at the Rock and Rhythm contest. The reception was good but only second place was achieved and so the group reverted to “Reaction” and that was the end of the “Fantastics”. The report in the West Briton stated that Reaction had temporarily disbanded because the other members were away at college and university. Thereafter the new Reaction incarnation marked the end of what had been Cornwall’s most distinctive pop group line-up. The remaining members were interested in a different sound as musical tastes were changing; the pop and soul content all but disappeared and the group became a heavy rock band, heavily influenced by Hendrix, the Cream and the Who, although “Land of 1,000 Dances” still brought down the curtain at the end of a performance. The 3-piece was very effective but there had been a change. Previously the Reaction was either presenting music that had come from bigger line-ups or expanding music from traditional 3 guitar and drum groups into their own format. Both approaches required adaptation or interpretation of the original material – it was never a direct copy. With the 3-piece and their choice of music it was much more necessary to present a copy of the original recorded tracks. In this respect they had become more of a cover band but by the end of the 1968 summer season they were doing it extremely well, tracks such as “Foxy Lady” and “Hey Joe” were outstanding, with very crisp guitar work being knitted together by Roger’s impressive drumming. This cohesion meant that although the style of music had changed the Reaction’s capability of making a dance floor fill right from the first number had not. 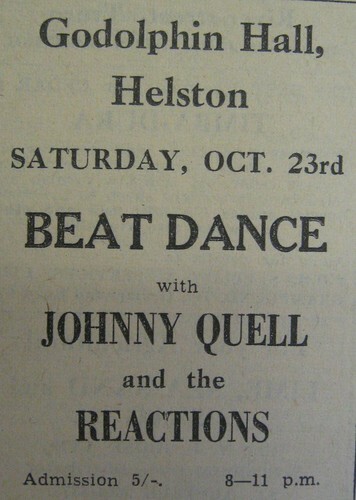 The summer 1968 season featured marquee dances on beaches and other group-promoted dances in halls at seaside locations; the fly-posting support had become a fine art in itself, with former school friends on their college and university vacations, including John who still owned the group’s sound system, giving their support in ensuring that the dances were well publicised and organised. The group played through until the middle of September 1968 when Roger left for Dentistry School in London; then Reaction came to an end. Reaction’s development effectively formed Roger Taylor’s apprenticeship and gave him the experience and the opportunity to develop his own skills, both as a drummer and singer and as the pivotal figure in a hard-working group. Consequently soon after his arrival in London he was welcomed into a top quality group, 'Smile', that was to form the foundation for Queen. Not only that, but his experience from his time in Reaction of the opportunities available for a good band during the tourist season in Cornwall meant that Smile, and subsequently Queen, were able to find ready work during their own development phase. Of the other former Reaction members, Roger Brokenshire returned to singing in the 1970’s with the Globetrotters from Redruth and even used the name Reaction Showband later on, although no original Reaction members took part. In 2011 he is still singing, fronting a group. Ricky Penrose returned to his bass guitar in the 1970’s, playing with Graham Hankins in Truro group Memory Layne. Geoff Daniel gigged with Smile in London in 1968-69. Mike Dudley gigged with Smile on their early visits to Cornwall. John Snell joined the Truro-based 9-piece Bobby Knight Soul Showband in autumn 1968 and introduced Mike Dudley into the band as its guitarist. John left in New Year 1970 to return to Portsmouth and finished his public musical career that spring with a jazz and blues band on the back of a lorry in Portsmouth Polytechnic’s Rag Week parade.